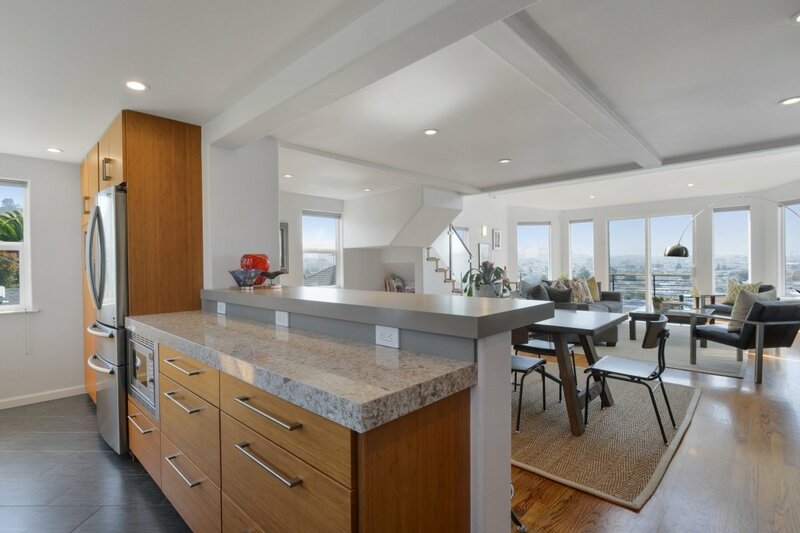 This fine home was rebuilt in 2003 and is composed of 4 bedrooms and 3.5 baths, boasting great views on all levels and from the yard. 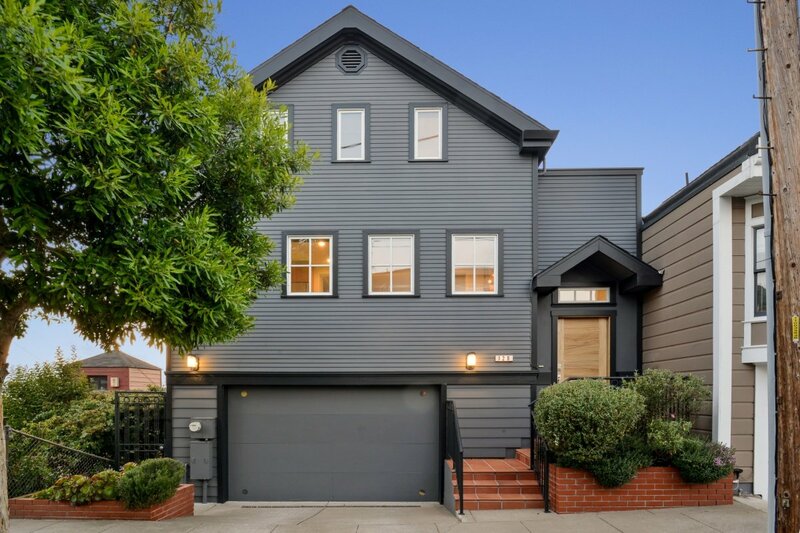 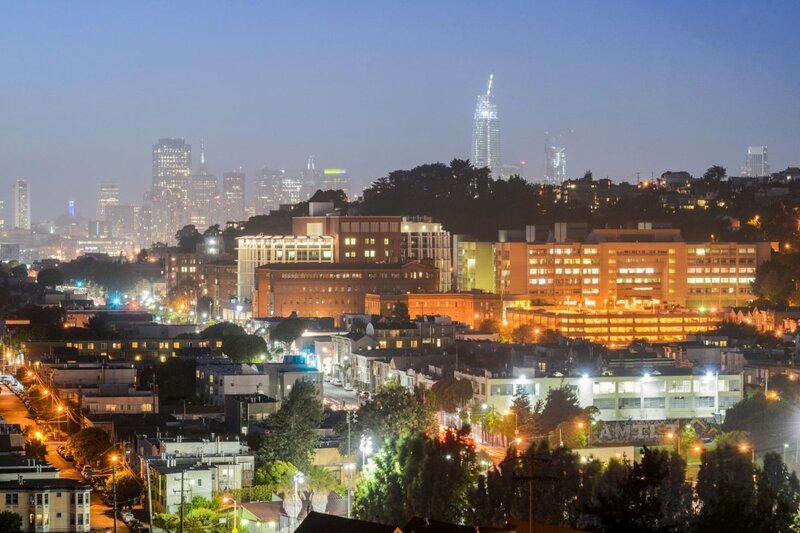 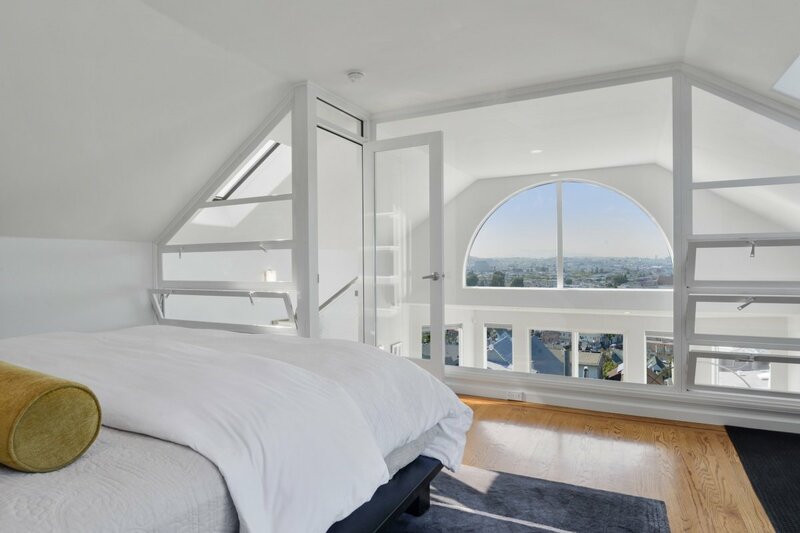 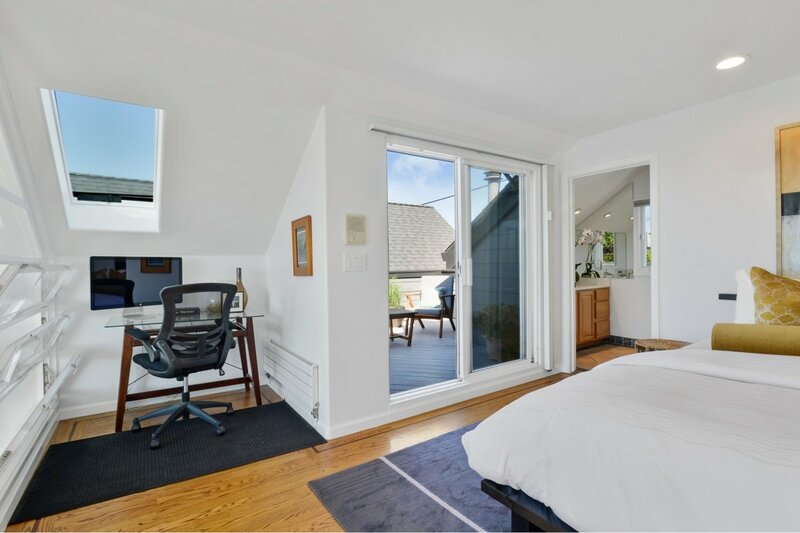 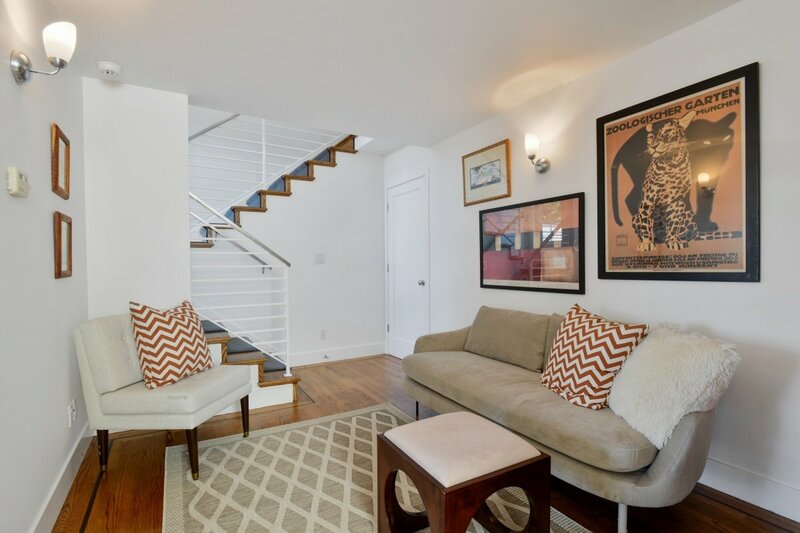 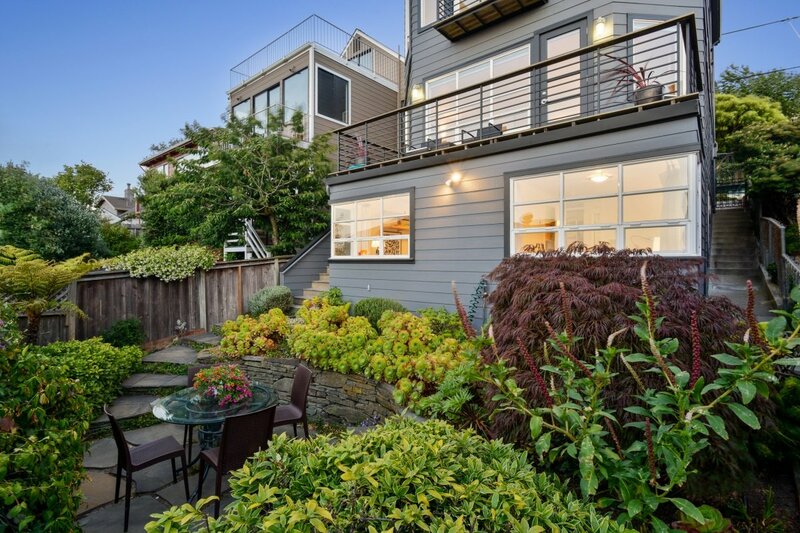 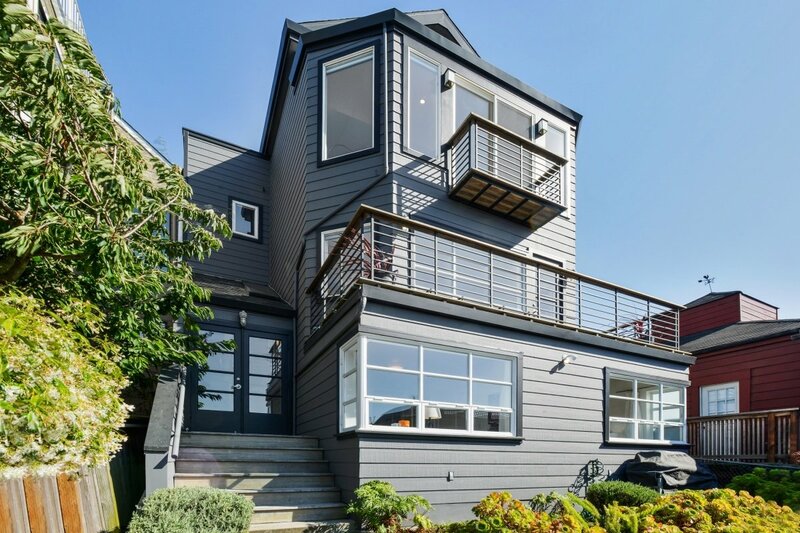 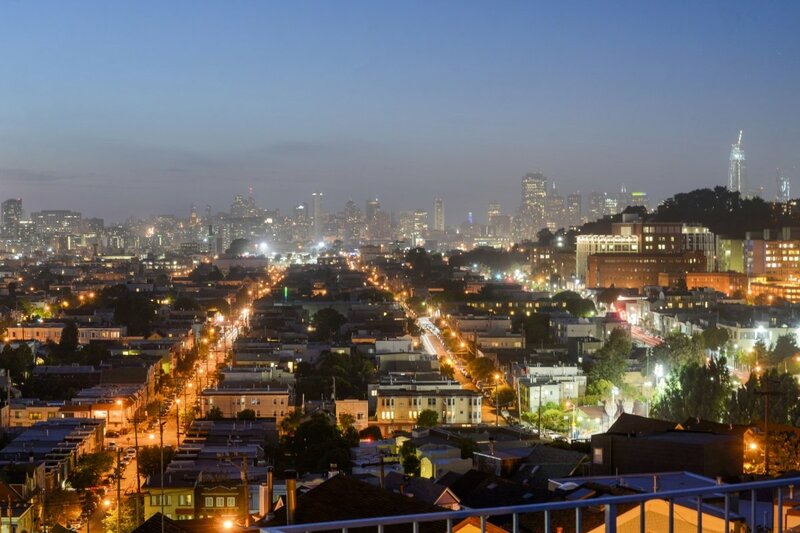 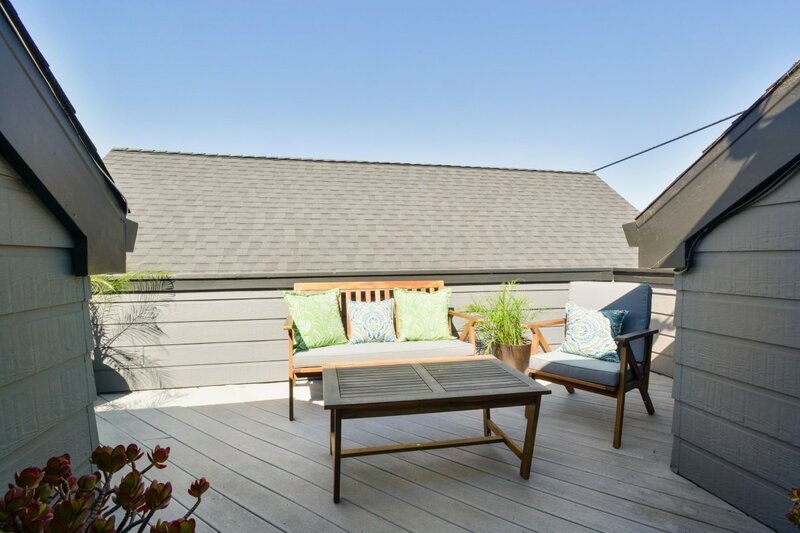 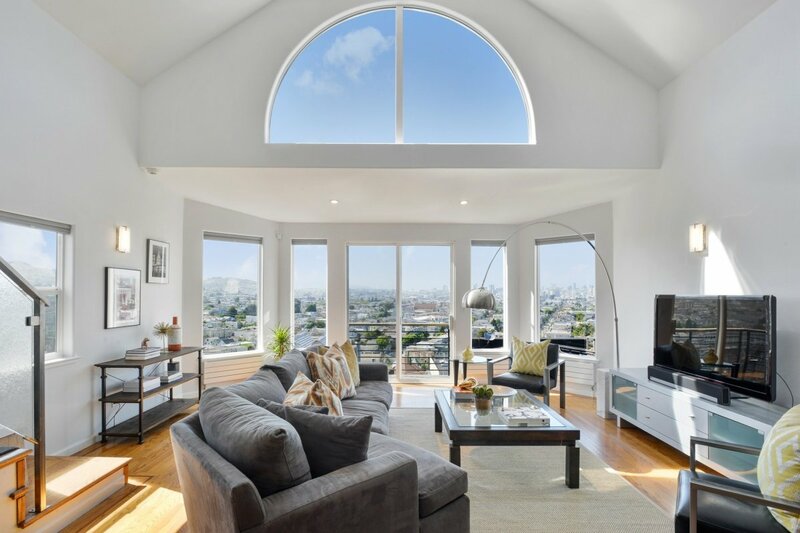 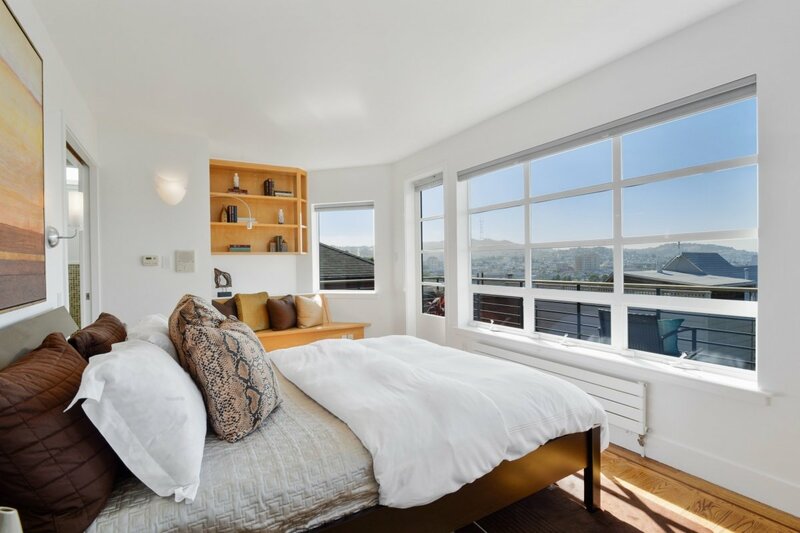 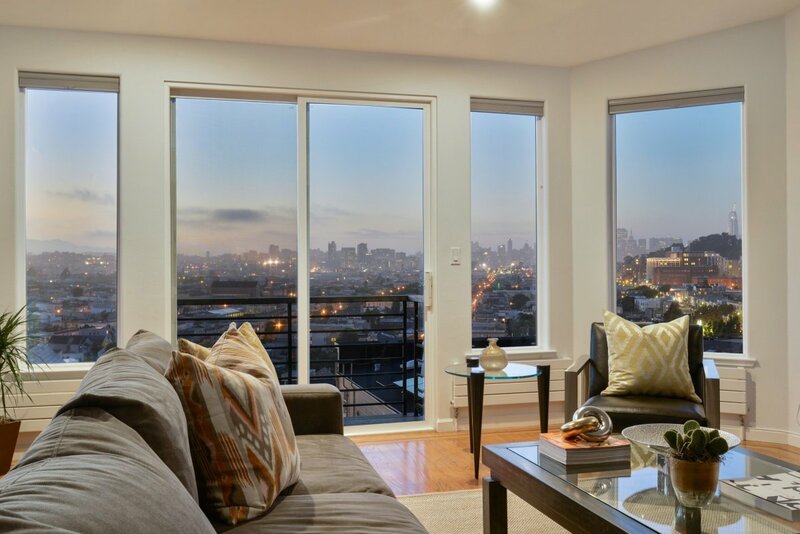 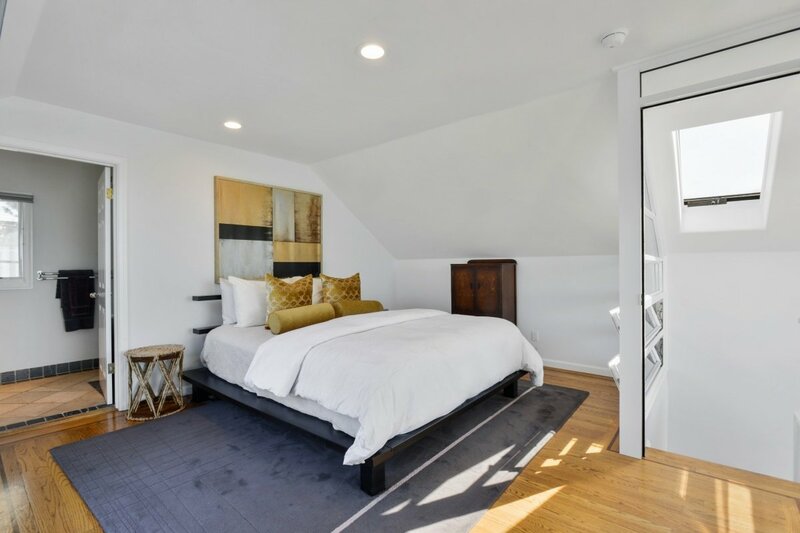 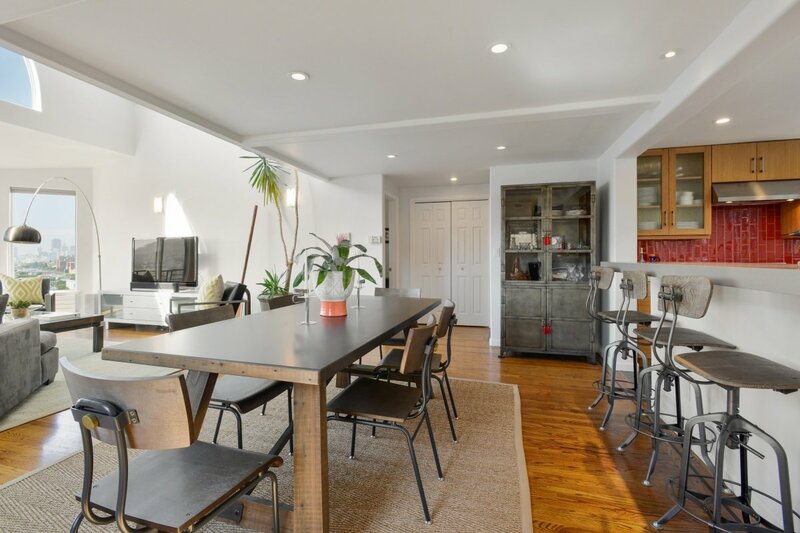 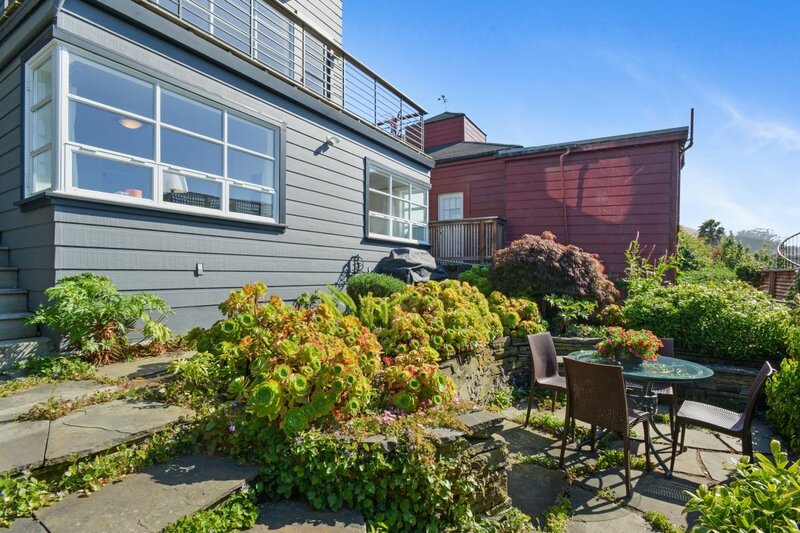 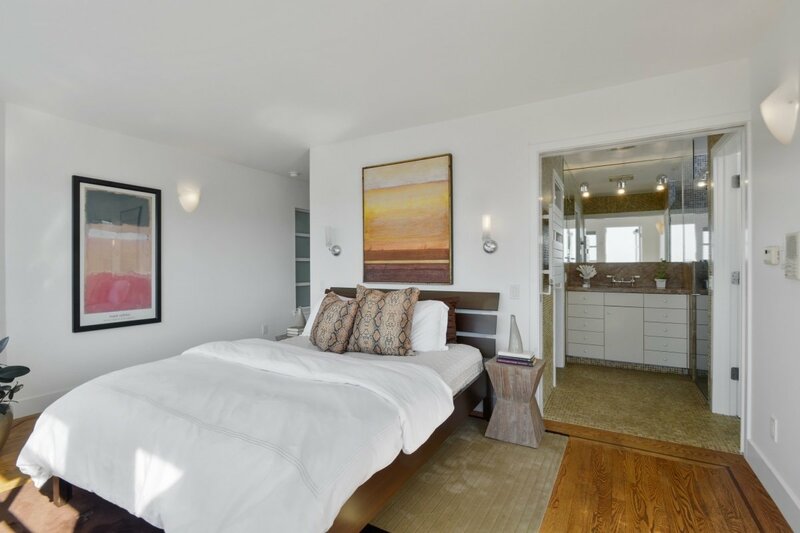 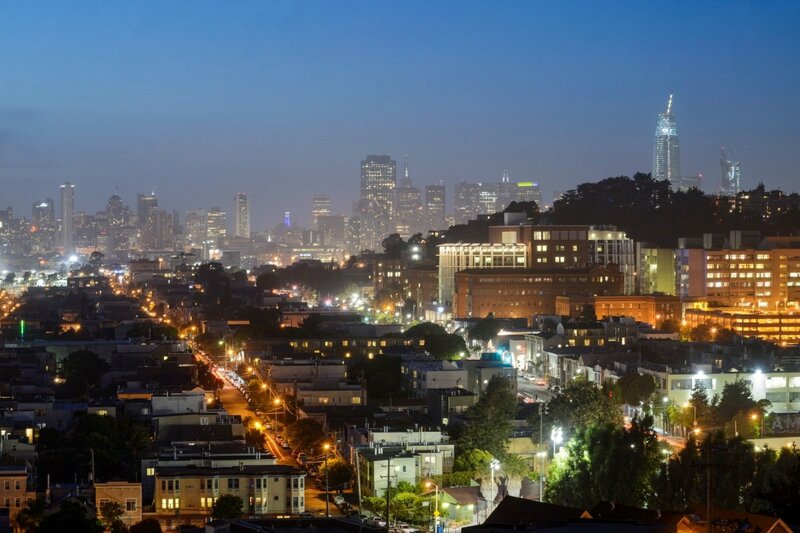 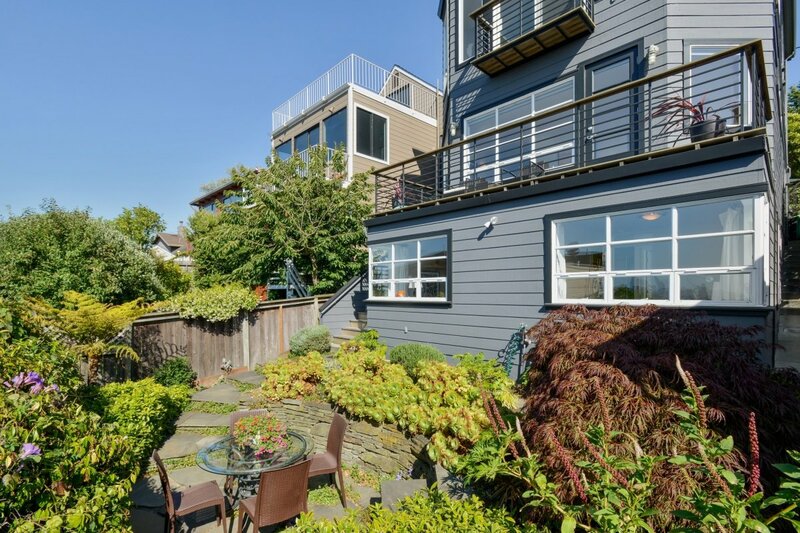 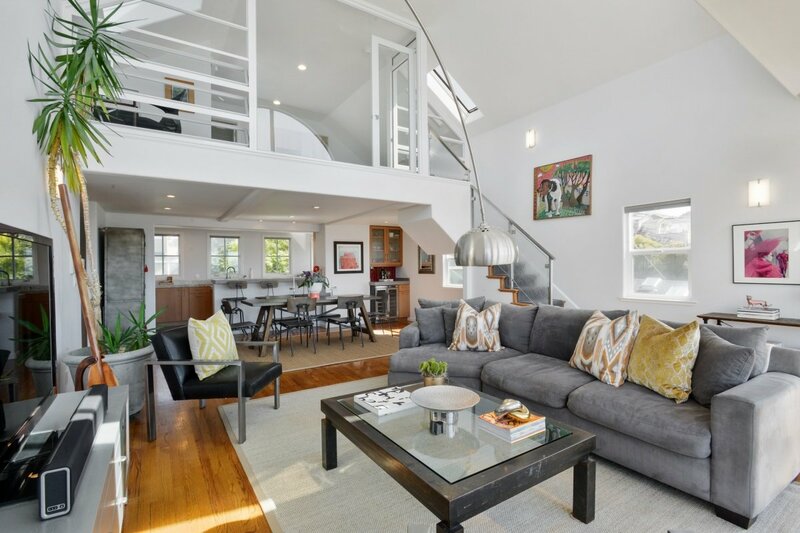 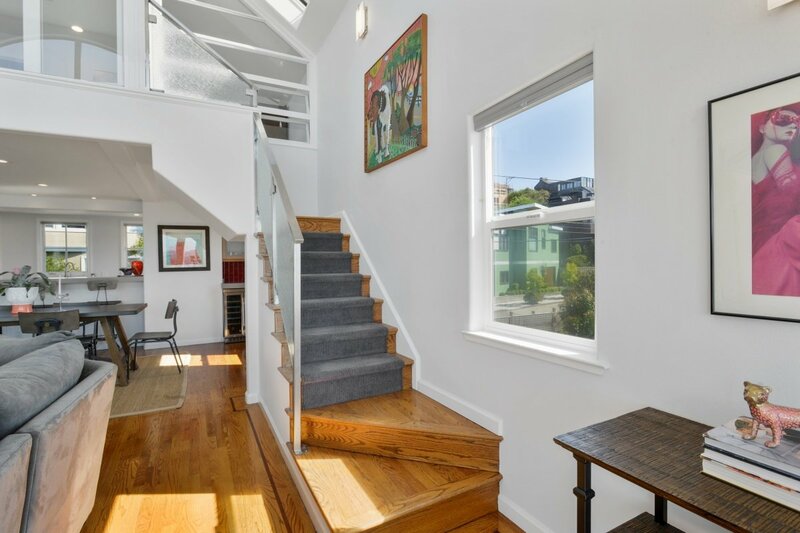 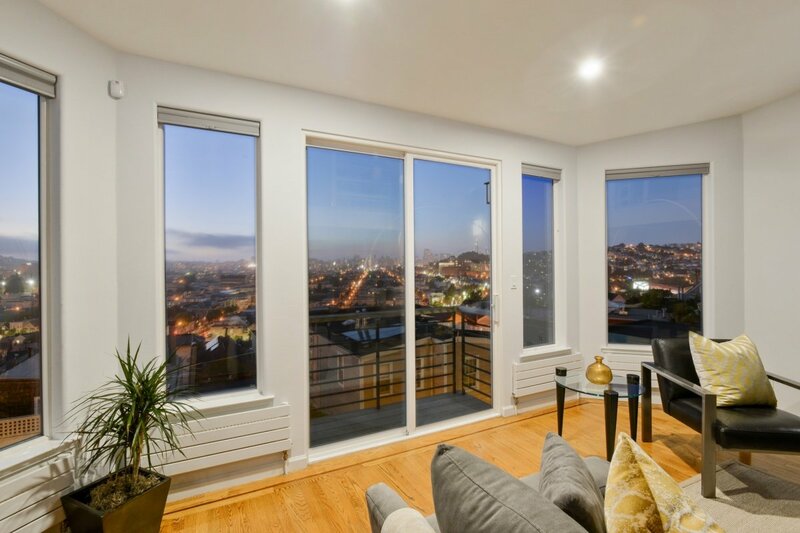 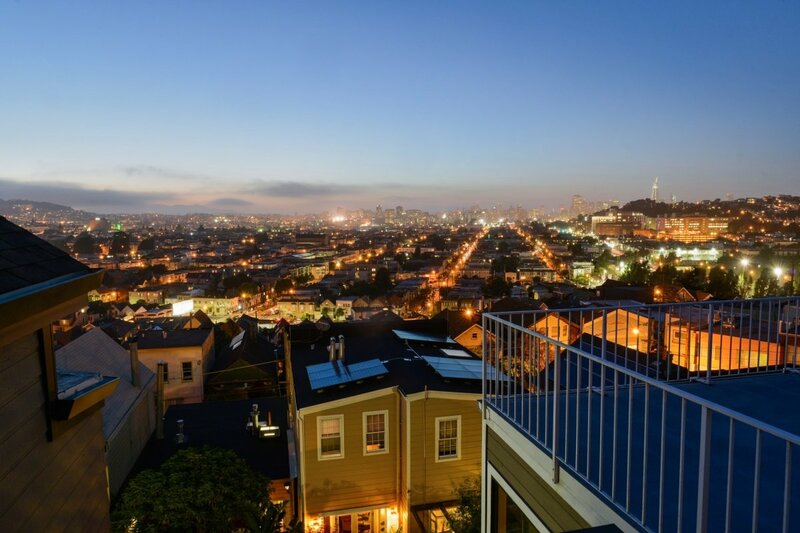 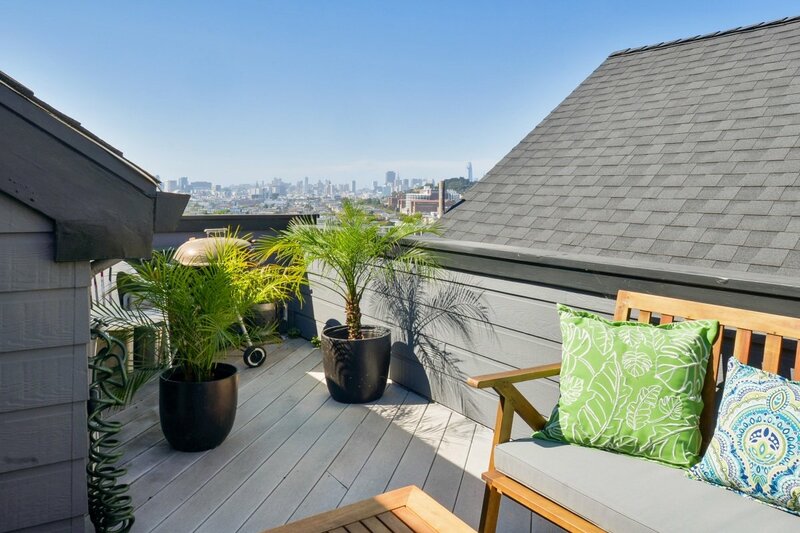 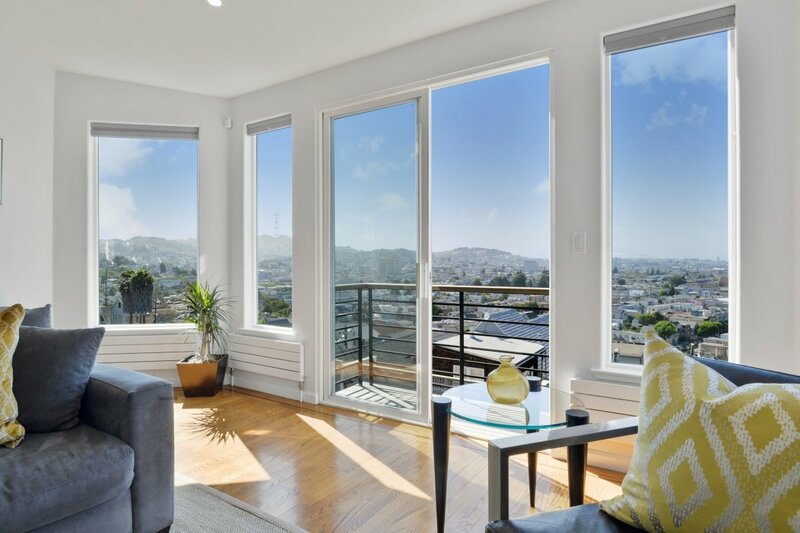 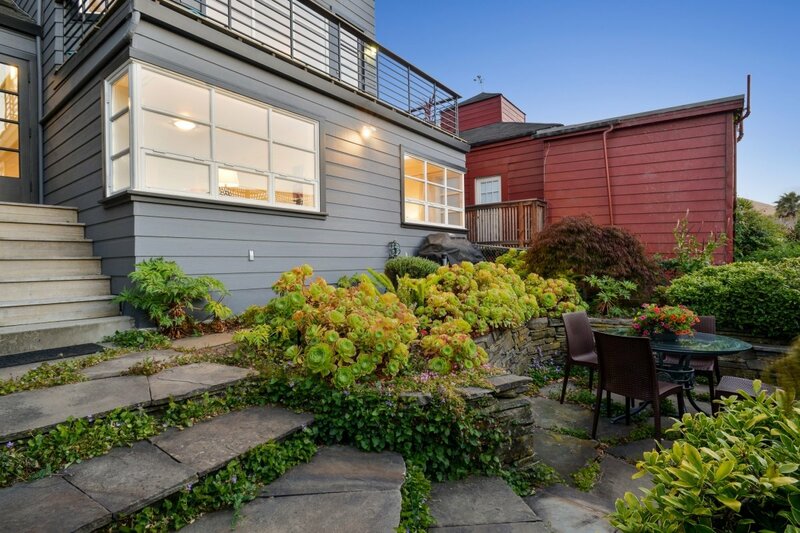 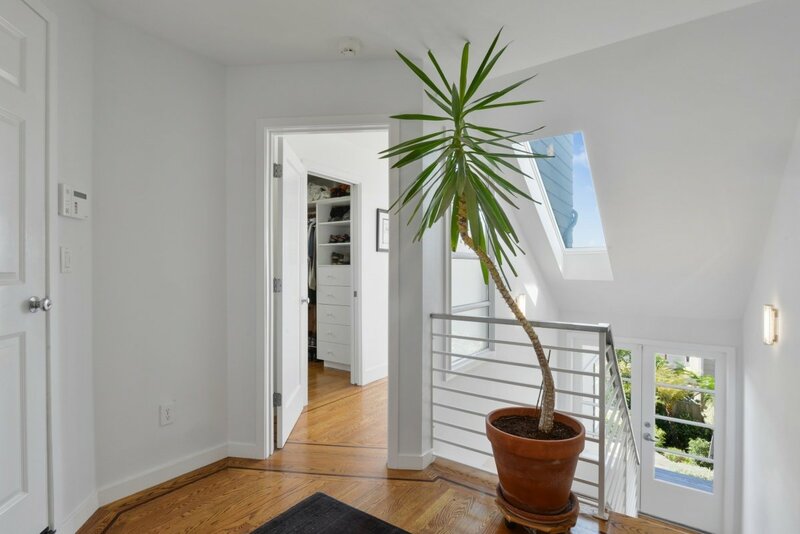 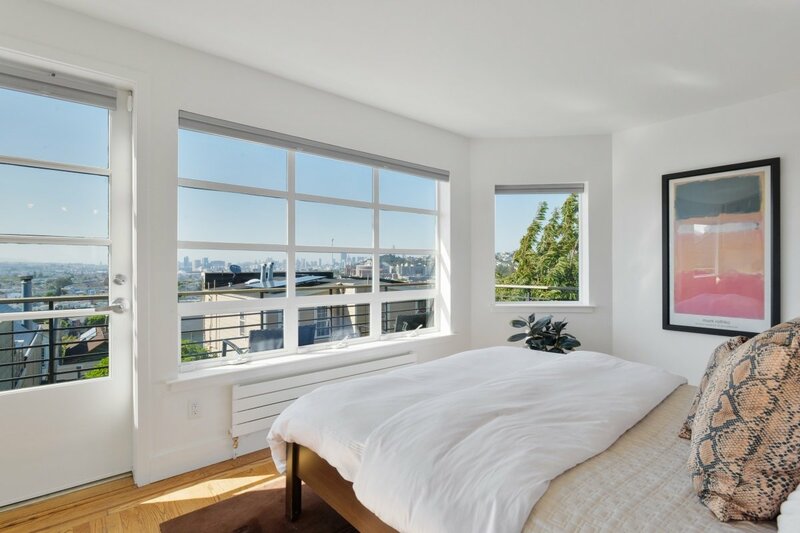 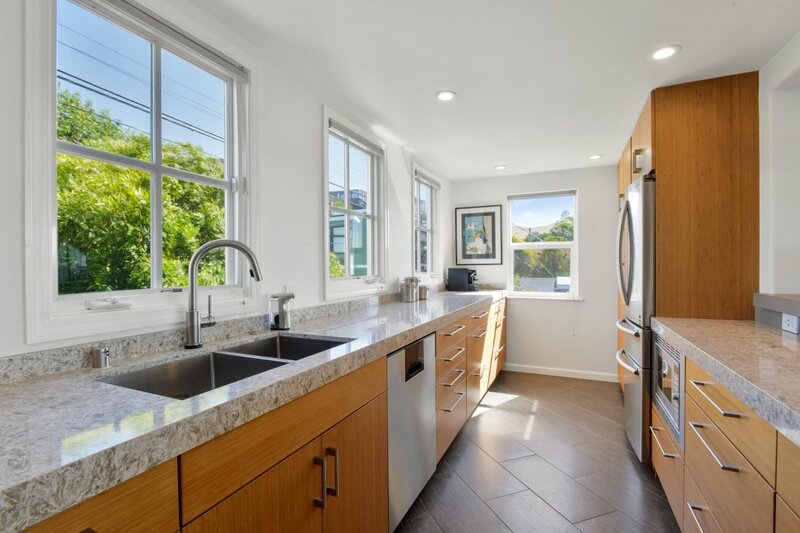 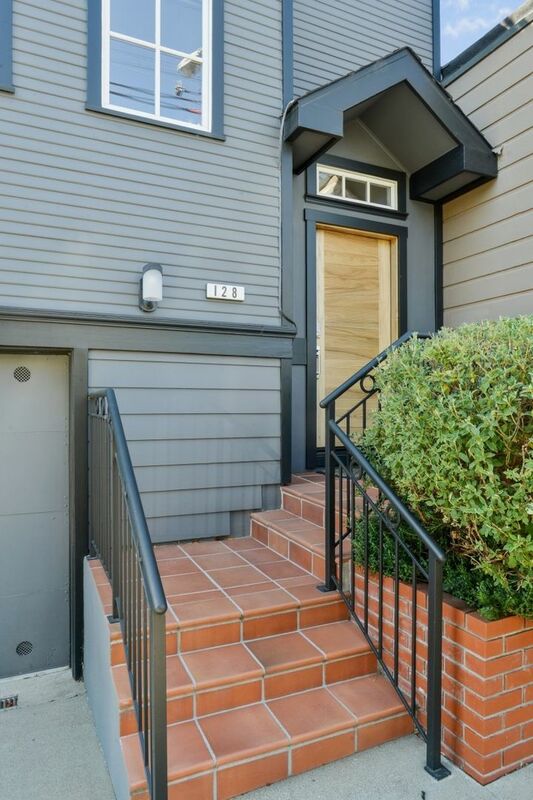 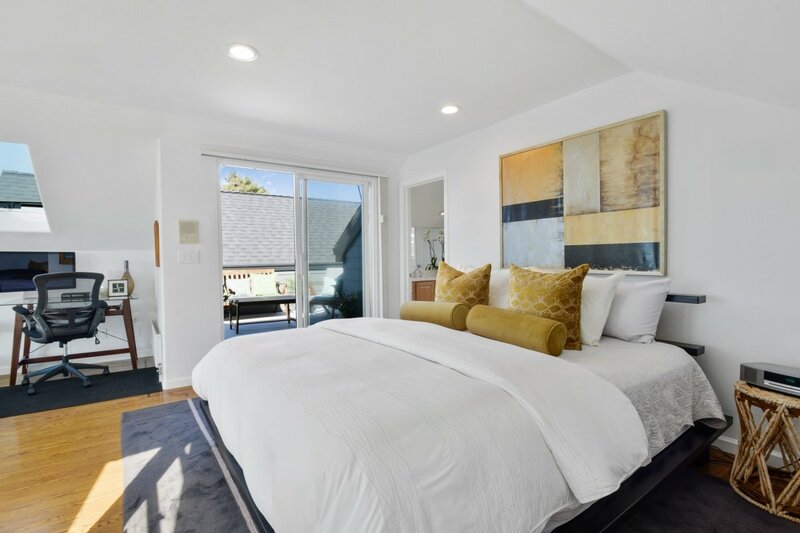 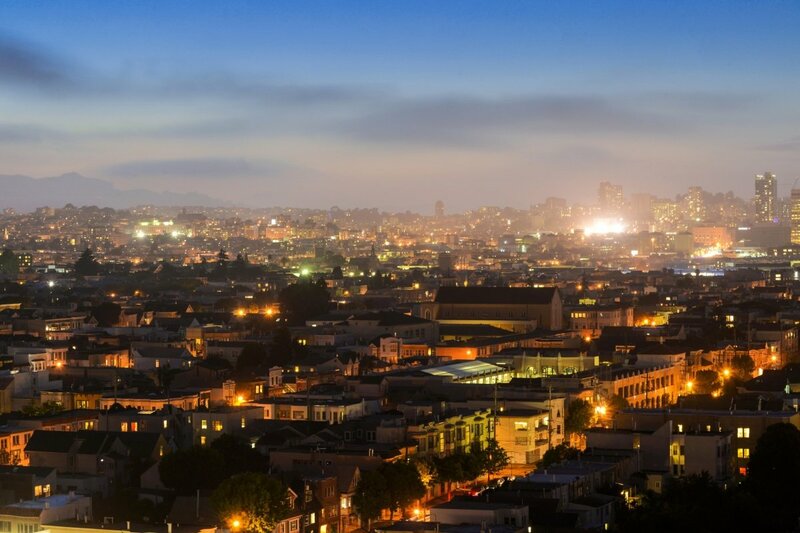 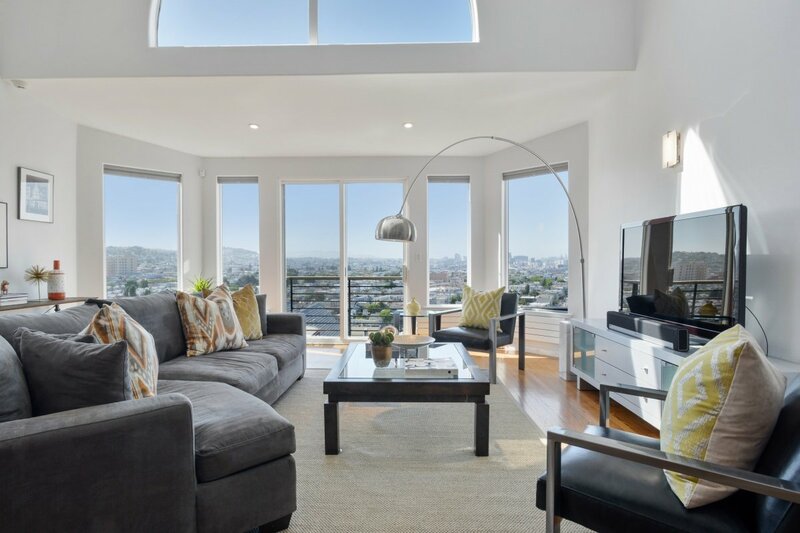 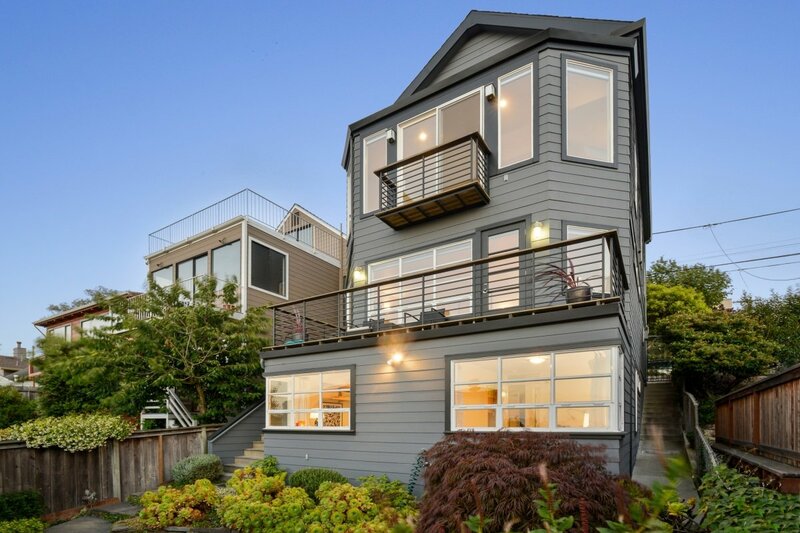 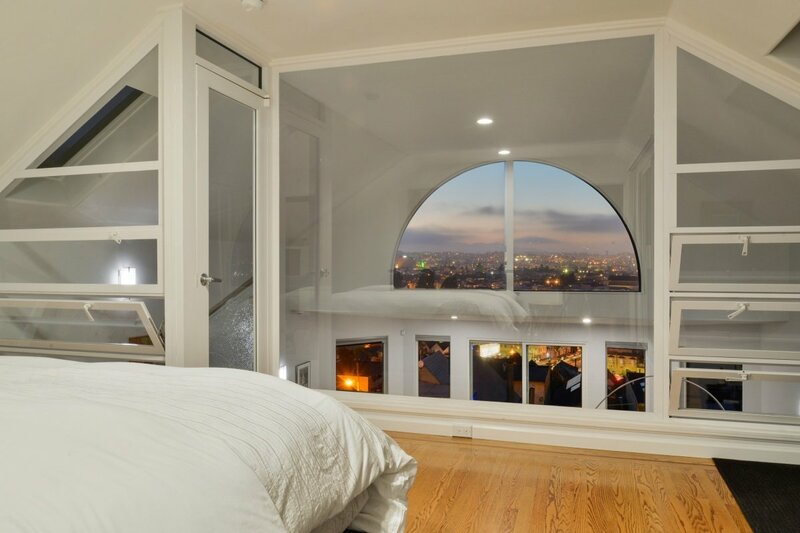 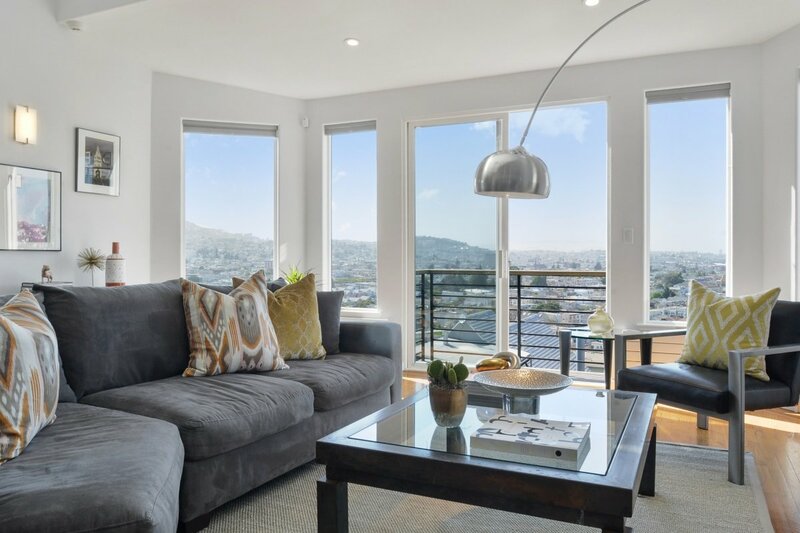 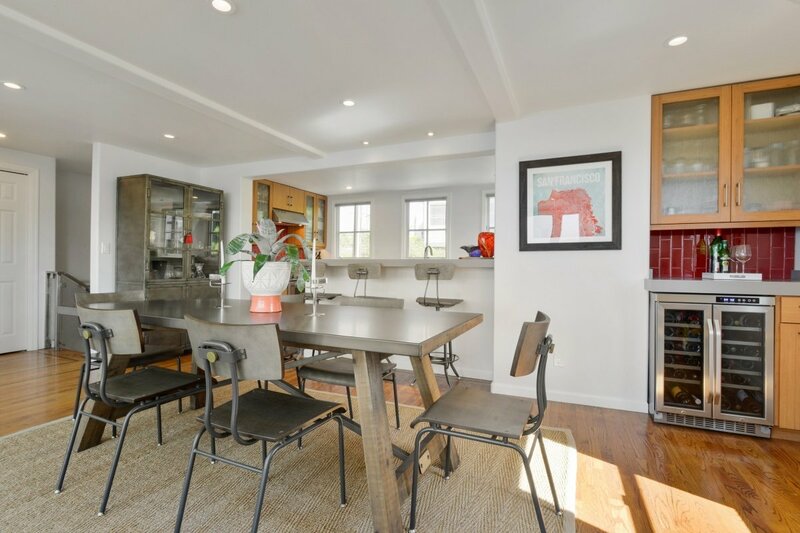 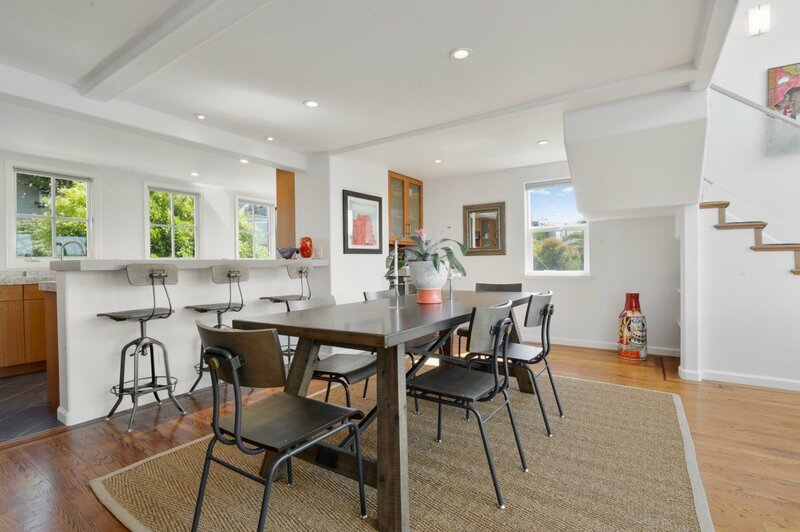 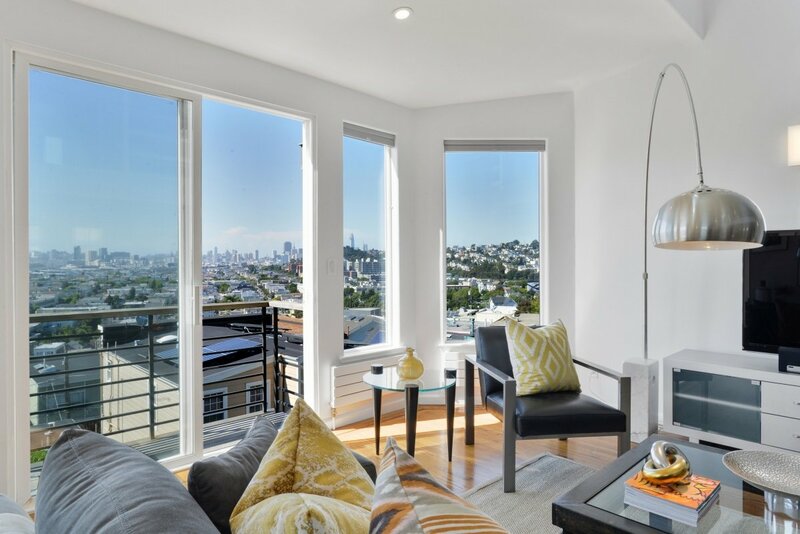 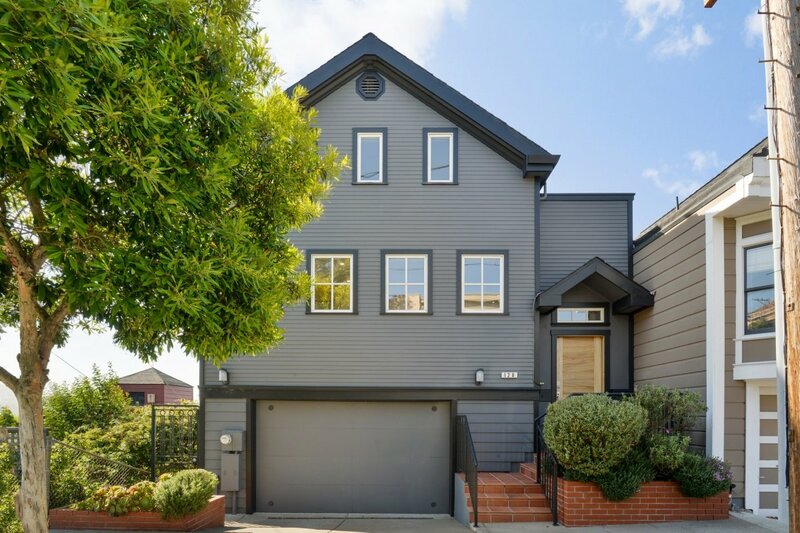 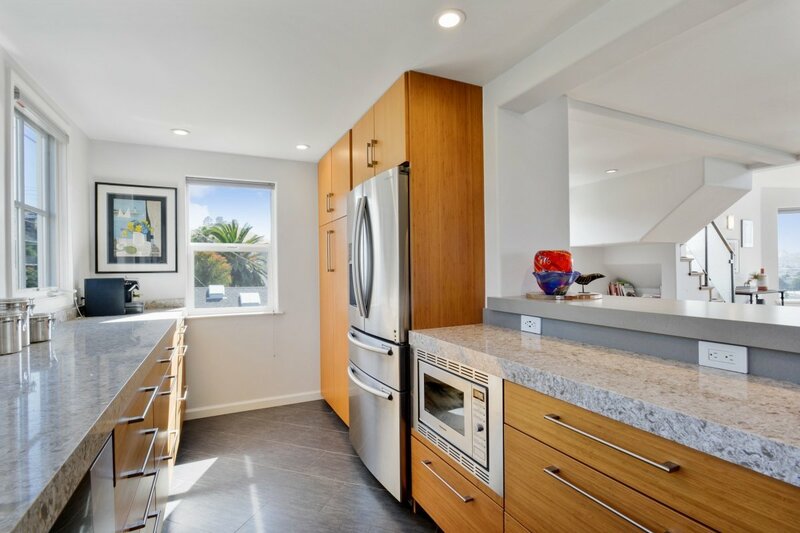 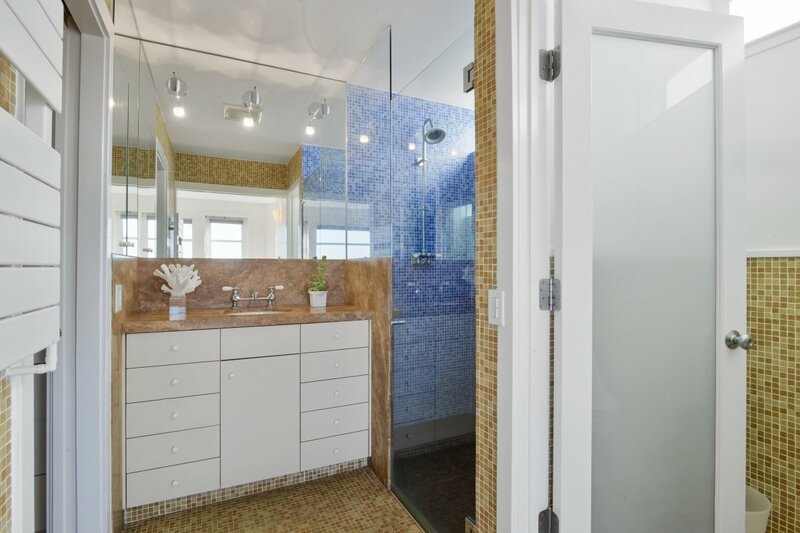 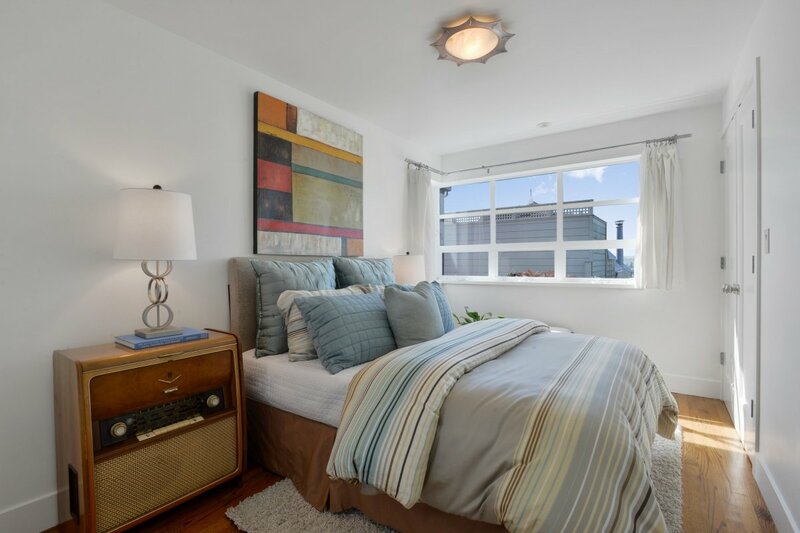 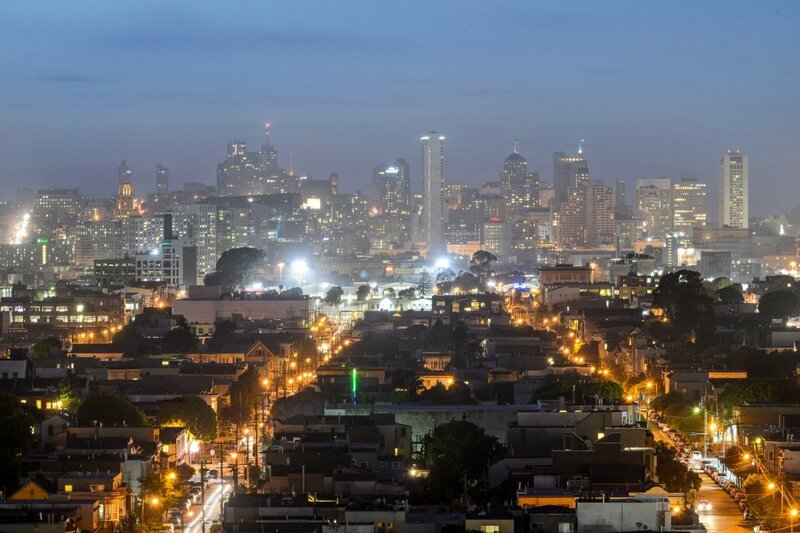 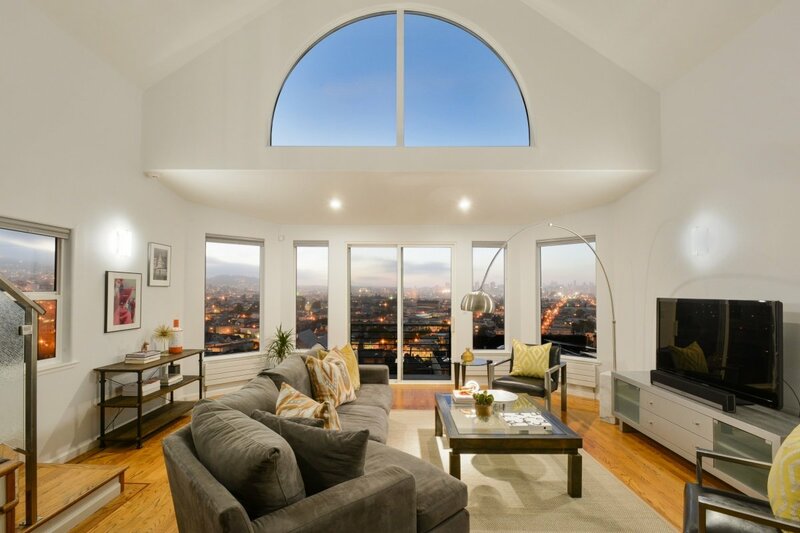 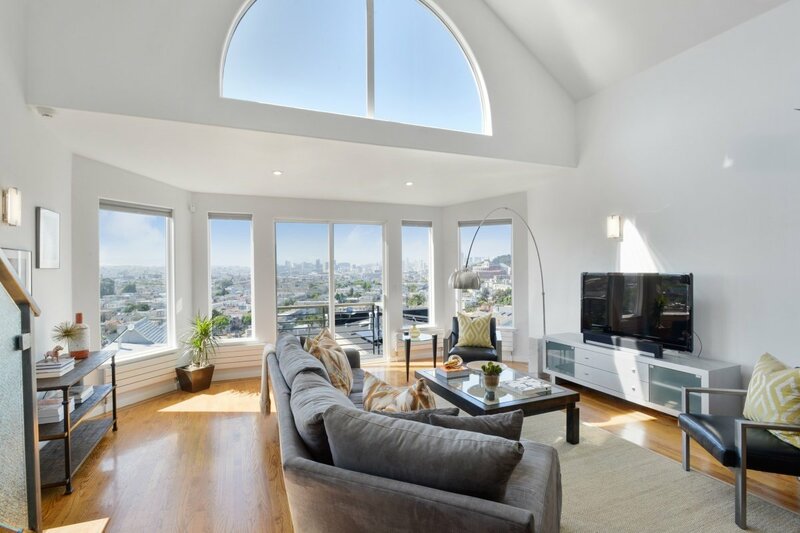 Set on a quiet, verdant street in calm Bernal Heights, this property is fit for elegant social evenings with friends, mornings in recharging with family, and everything in between. 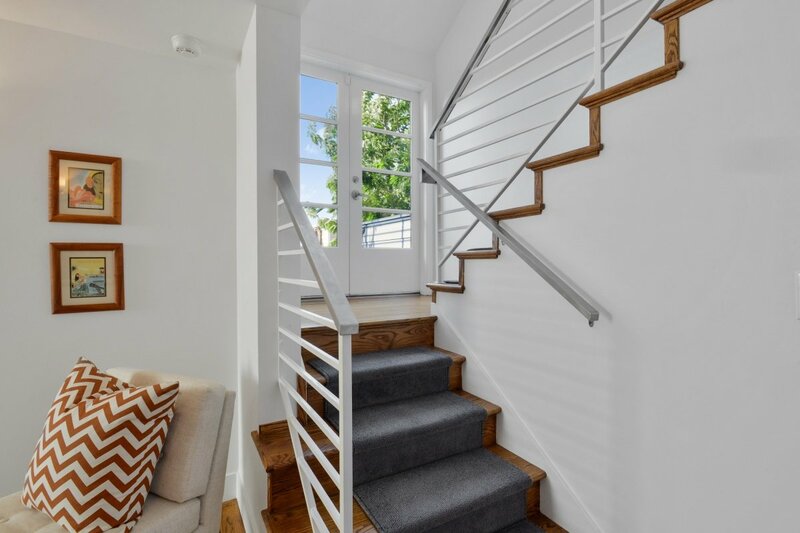 From the entrance, a short staircase leads to the expansive open entertainment/living and dining level. 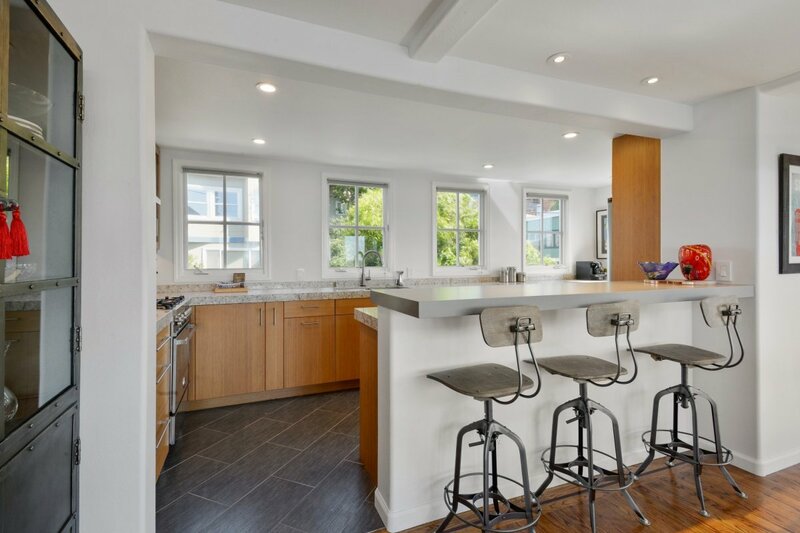 An entrancing view complements the large living space which opens to an elegant, remodeled kitchen. 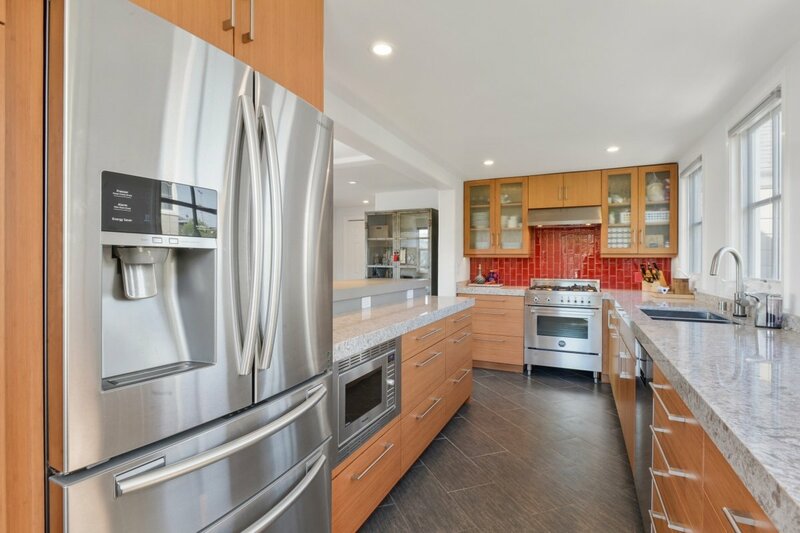 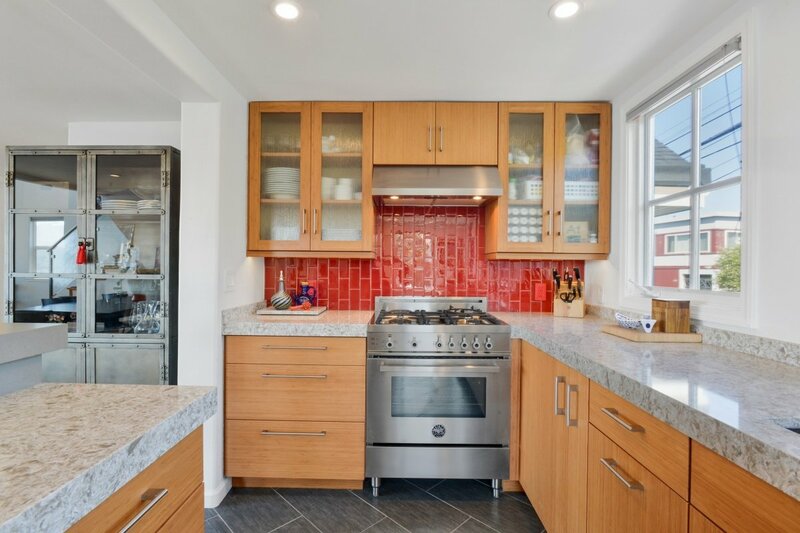 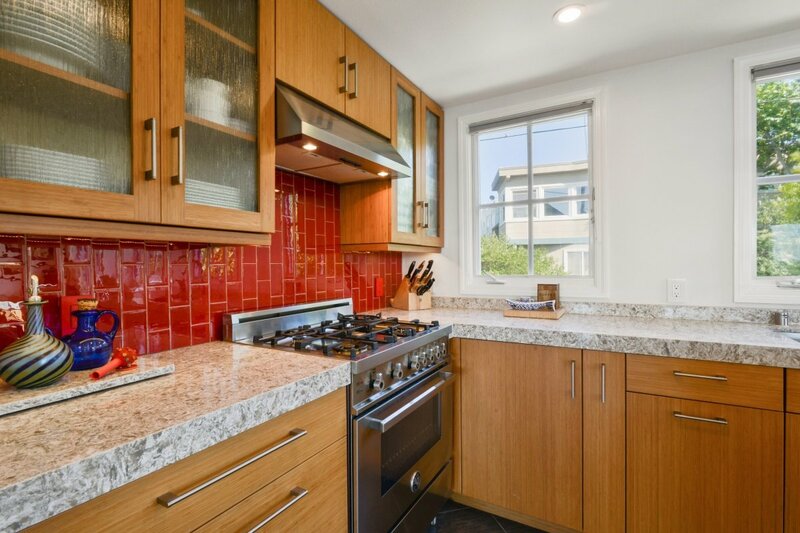 The Bertazzoni range and slab quartz countertops help make this kitchen a chef’s joy, and the state-of- the-art bamboo cabinets, stainless refrigerator, wine cabinet, and red tile backsplash make the space both ecologically sound and beautiful. 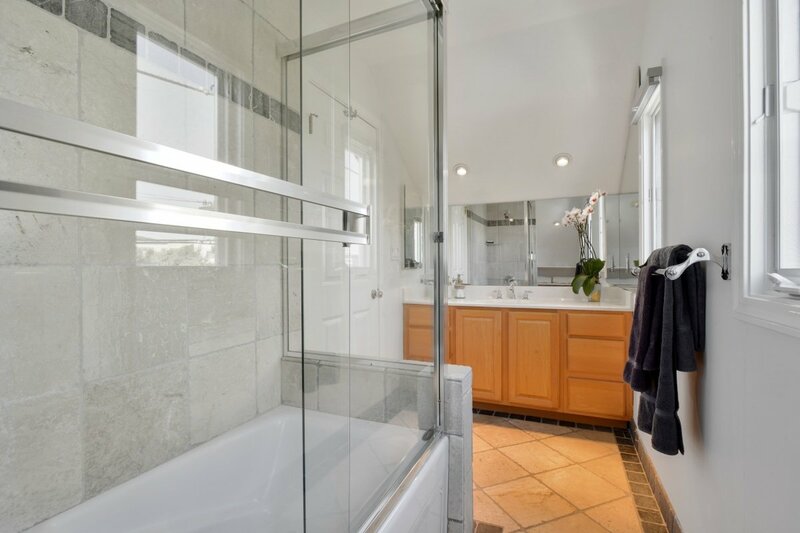 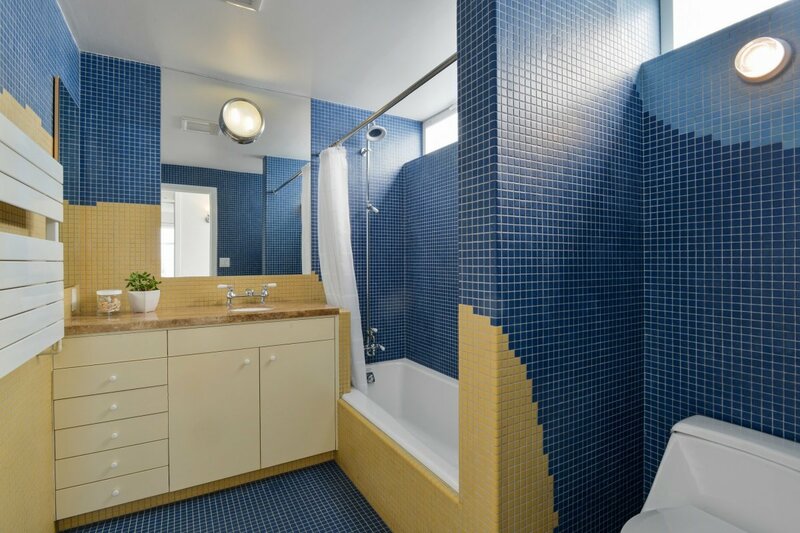 A half bath and closet complete this level. 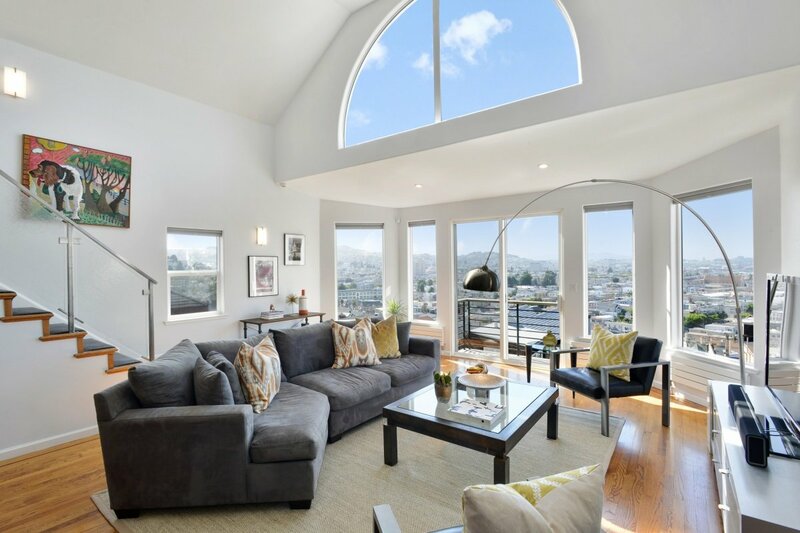 Sitting above this great room is an open, loft-like room with view and full tumbled marble bath. 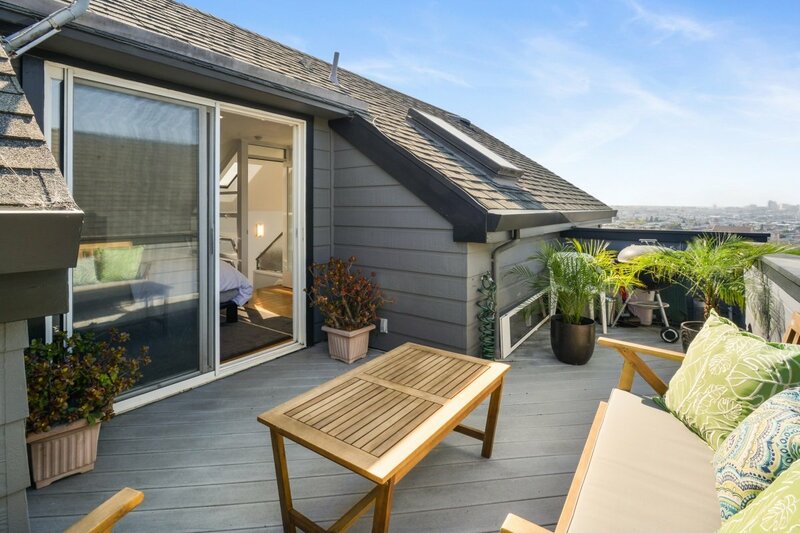 A personal deck offers a wonderful space to enjoy morning coffee or afternoon cocktails. 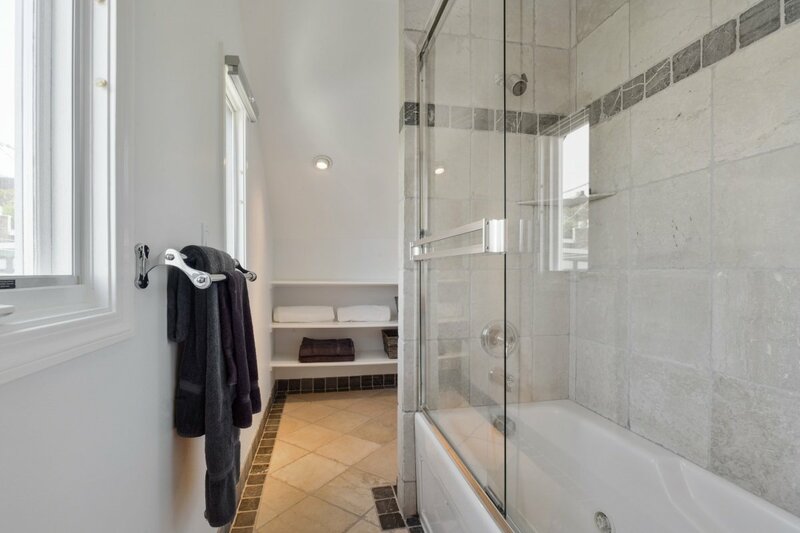 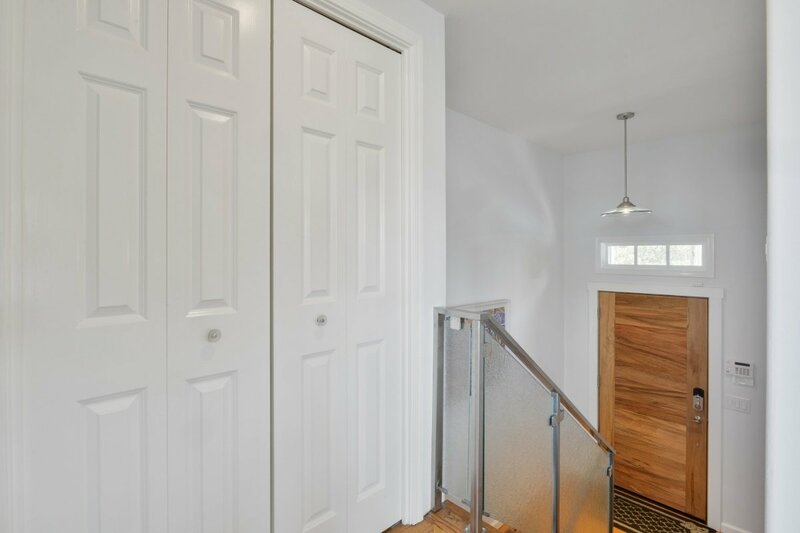 The lower level below the entry offers a Master Bedroom with ensuite bath and deck with easy access to the garden and patio. 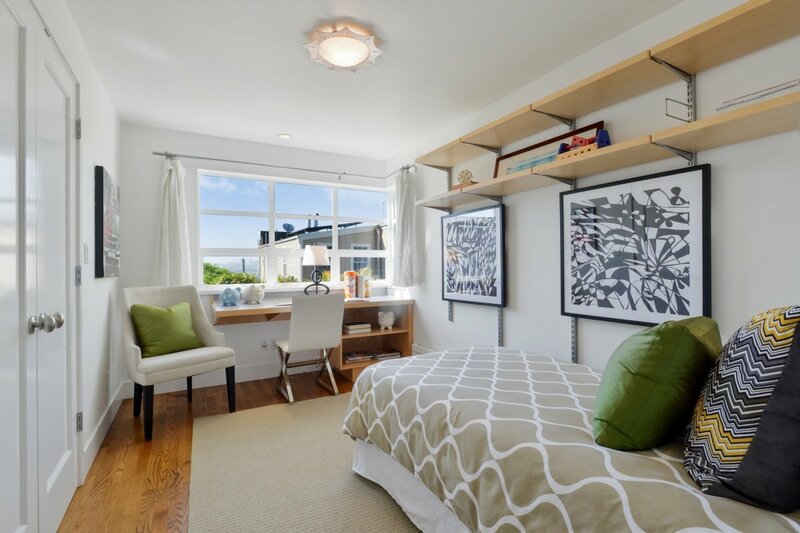 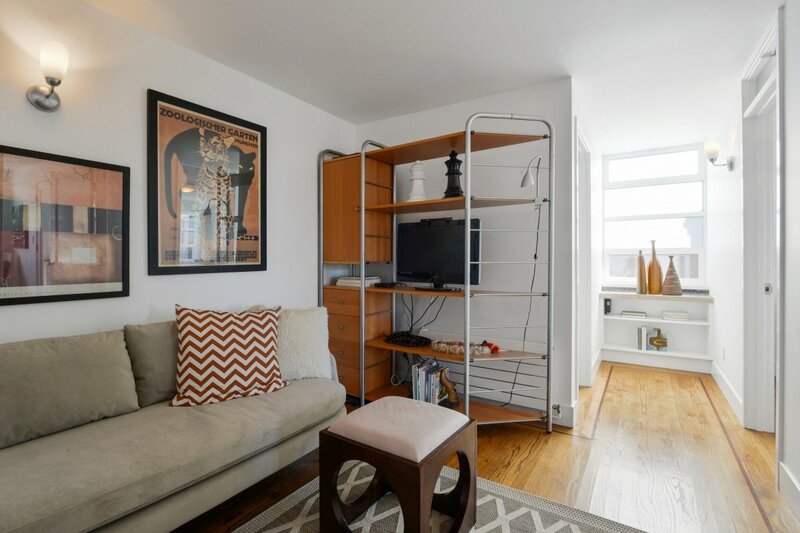 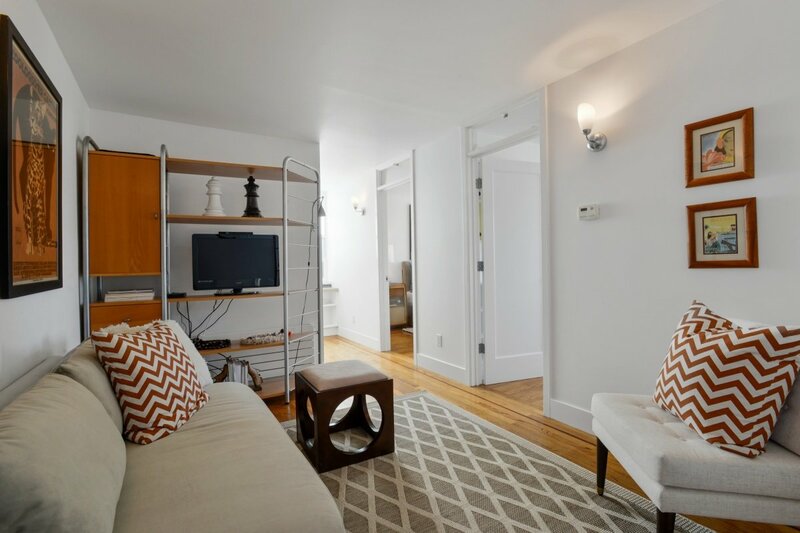 Two bedrooms, a full, bath and a cozy family room complete the lower floor. 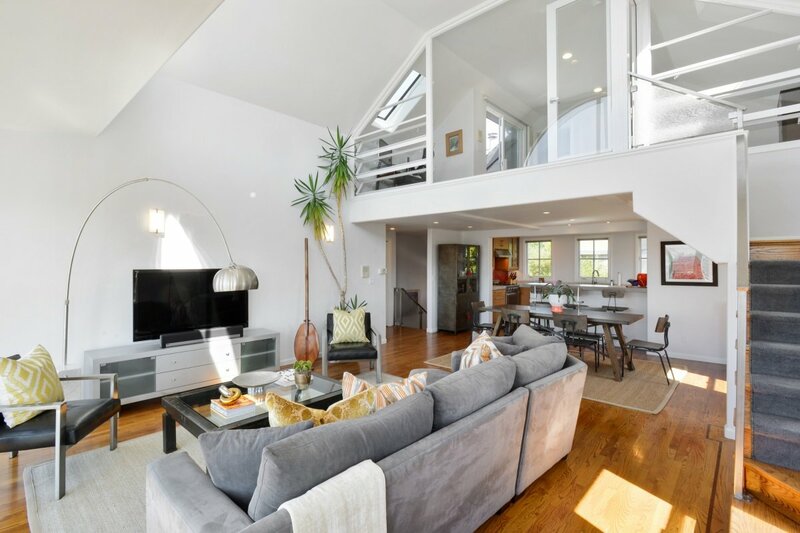 Together, these two levels feel like an extensive suite with privacy from the large entertainment area above. 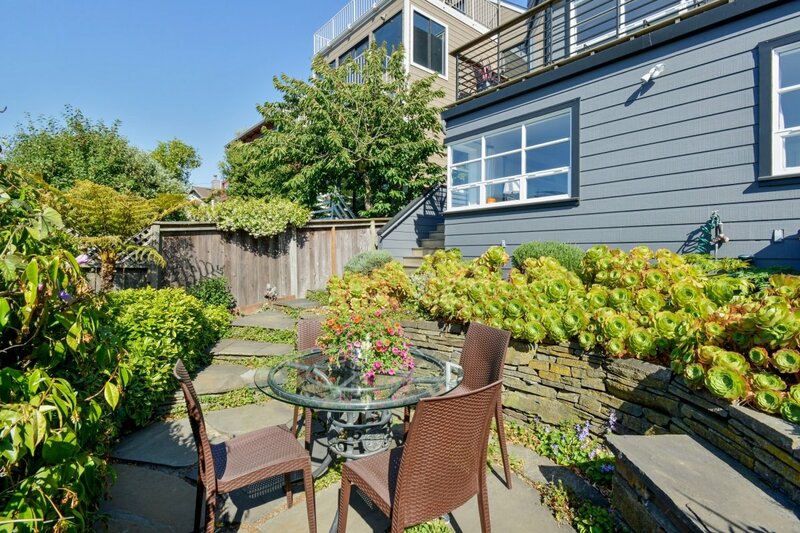 The flourishing garden, awash in luscious blooms, also includes an open area for outdoor sunning or barbecuing.